Isaac Morley was in the Presiding Bishopric of The Church of Jesus Christ of Latter-day Saints, serving as first counselor to Edward Partridge from June 6, 1831, until Partridge’s death on May 27, 1840. He also helped settle Far West, Missouri; in November 1837 he was called as Patriarch of Far West (ordained by Joseph Smith). He, along with 55 other Mormons were arrested as part of the extermination order of Governor Lilburn W. Boggs. He was released after three weeks imprisonment. In July 1838 after Partridge was tarred and feathered by a mob, Morley and five others stepped forward and offered themselves as a ransom for Partridge and others of their brethren, willing to be scourged or die, if that would appease the anger of the mob of 500 armed men. In Illinois, Morley established himself as a cooper and was called as stake president. By September 1845, however, his houses, shop, other property, and grain were burned by a mob and he and his family fled to Nauvoo and then went on to Winter Quarters. He immigrated to the Great Salt Lake Valley in 1848. He settled Sanpete County, including Manti, Utah, in November 1849. He was a senator for the State of Deseret and in 1851, 1853, and 1855, he represented Sanpete County in the Utah Territory legislative council. 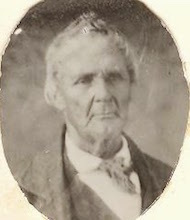 He also served as stake Patriarch until his death on June 24, 1865. Morley was born on March 11, 1786, in Montague, Massachusetts. He served in the War of 1812 from 1812 to 1815. He married Lucy Gunn in June 1812 and they were the parents of seven children. He later practiced polygamy and married Leonora Snow and Hannah Blakesley (who bore him three more children). He also married Hannah Libby, Harriet Cox, Hannah Sibley, and Nancy Bache. This page was last edited on 11 November 2017, at 21:35.